"We can't go any further. You will have to get out the boat and make your own way across." John, the Cape Wrath Ferryman, had tried his best to get us to land, but the tide had started to turn and the closer we got to shore the shallower it got until there was simply not enough depth to run the boat. The prospect of walking across a sandbar to reach safety was nerve wracking. My mind raced with the possibility of encountering deep patches of water and being swept out to sea. "Everything will be fine. This happens sometimes. Just don't stand on the wet bits," was John's advice. Myself, Paul and the three other passengers plonked into the water and trudged across the lumpy sand. There were indeed 'wet bits', pools of water, but they were easy to negotiate and we soon realised that John was right and there was no risk of something terrible happening. It was an unexpected ending to the adventure of travelling to Cape Wrath. Here you just have to accept that nature makes the rules and you need to be adaptable, even if that means leaving a ferry halfway to shore. 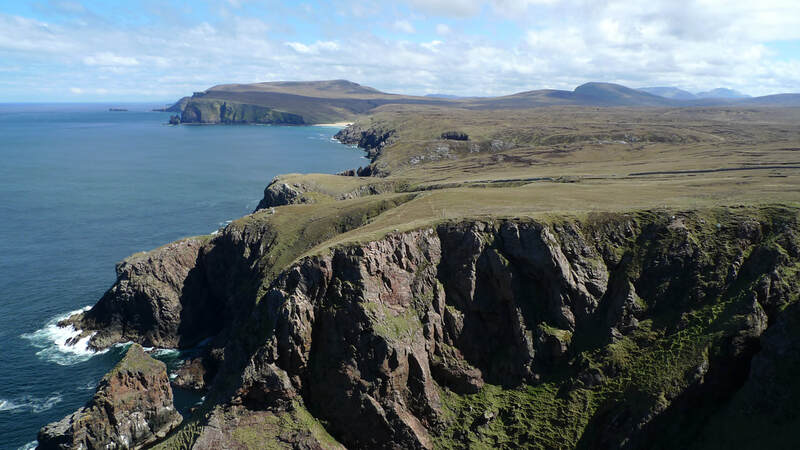 Cape Wrath, on the far North-Western tip of Scotland, is notoriously difficult to reach. 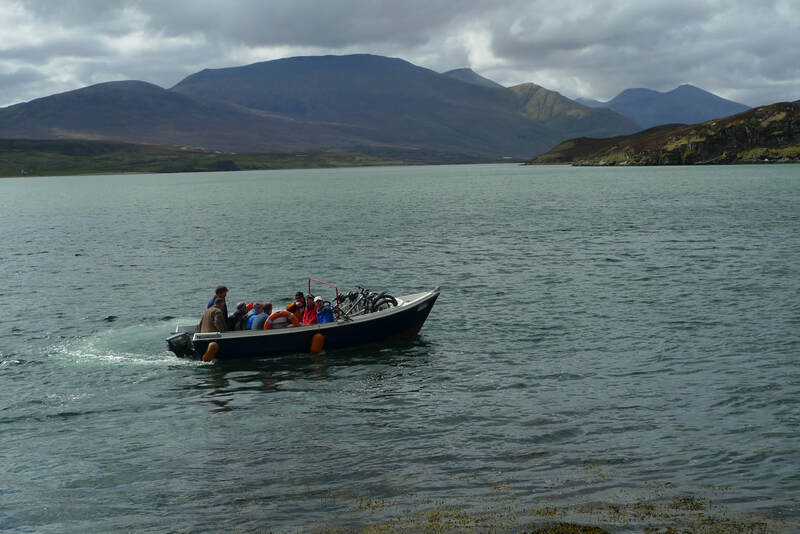 It is cut-off by the Kyle of Durness and the only way across is using the ferry. It is a small boat and does not carry vehicles. In fact, it is the smallest passenger ferry service in Britain. 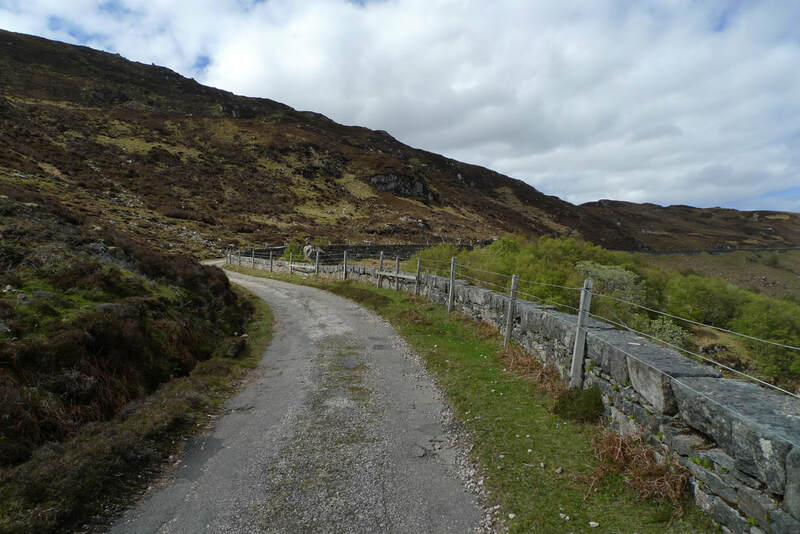 Once you are across you will find an 11 mile road leading to the Cape Wrath lighthouse. The area is frequently referred to as Europe's last true wilderness and I had been dreaming of coming here for years. ​Paul and I spent the previous afternoon and evening in Durness keeping our fingers crossed that the ferry would run; it can be cancelled in foul weather. On a previous visit I had spent 3 days in Durness waiting for the ferry to run, but each day it could not make the crossing because of high winds. If we couldn't get across then at least there is plenty of chocolate to console ourselves with. Cocoa Mountain is a tempting chocolate shop and cafe where we indulged in a dish of truffles with innovative flavours like chilli lemongrass, peanut butter and cranberry, and whisky caramel. The Smoo Cave Hotel provided an excellent seafood dinner. I had a starter of dressed crab and a main course of langoustines that tasted out-of-the-sea fresh. One of my favourite desserts in these parts, Orkney Fudge cheesecake, provided a perfect ending to the meal. Our room was comfortable and had an exposed stone feature wall and stunning prints of the area's scenery. 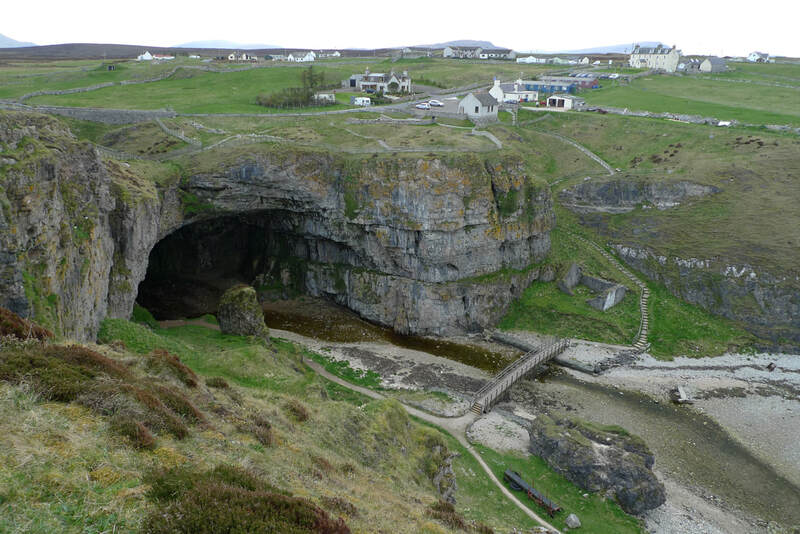 The hotel's namesake, Smoo Cave, looks like a place where you can have adventures. It is a gargantuan mouth in the landscape, carved out by years and years of the sea crashing into it. A road runs over the top of the cave from where we peered down on a lumpy, grassy hillside that tumbles towards the craggy opening. A long staircase winds its way down to the 50 foot high entrance. Inside, a covered boardwalk leads us deeper into the grotto where there is a waterfall plunging into a pool. It is an incredible sight and sound, but chilling to think that some people were once murdered at this spot. In the 1500s a highwayman killed his victims by hurtling them down the waterfall, always confident about never getting caught because locals believed the Devil lived down here. Durness had happier memories for John Lennon. He spent many childhood holidays in the village and recalled these times in the song "In My Life." The John Lennon memorial garden, overlooking the beach where he once played, has three slabs of granite with lines from this song carved into them. I went for an evening stroll to this spot and all I could hear were bleating lambs, seabirds and waves. It was so peaceful and I felt that I could quite happily stay outside all night. Why be inside when all this beauty is outside? In contrast to the tranquility of last night we found ourselves on a crowded pier the next morning. The sunshine resulted in about 40 people waiting to get across to Cape Wrath. It felt a bit like waiting on a jam-packed platform for a commuter train complete- there was even an annoying mobile phone ringtone going off every few minutes. I had always imagined this would be somewhere to find solitude, but it was not to be. John, the Ferryman, told us that a busy day would usually be 20 passengers, so it meant a long wait as the small boat had to make several extra trips. One impatient woman asked John it it was possible to walk across at low tide and he answered with a grin, "you'll need a neck the length of two giraffes!" ​We abandoned our original plan to take the bicycles across, fearing that this would result in us not having enough time to cycle to the lighthouse and back. Instead we decided to take the minibus tour of Cape Wrath. This turned out to be a good thing and more than made up for not being able to cycle. Once the ferry dropped us on the Cape we had a one hour wait for the minibus and this created an unexpected opportunity to bask in the wildness of this place. Paul and I got the road all to ourselves as we strolled along looking down on the water with its yellow tinge created by the sand below. There was an exposed sandbar with grey seals lolling around on it. Immediately I felt that I was somewhere special, like nowhere else. We walked on and I noticed a tree growing out of a stone wall. Fence posts and walls were covered in lichen and the road was rough with grass growing down the middle. These were all signs that this place is very much at the mercy of nature and that very few humans tread here. The driver of our bus, Stuart, was full of banter and a font of knowledge about Cape Wrath. We would have missed out on this if we had cycled. Just before we set off he radioed John the Ferryman and said, "Leave me some fish, John." "I'll leave you the head and tail," came the jaunty reply. Stuart explained that the road is called U70, where the 'U' means unclassified. It was built not for vehicles, but horse traffic servicing the lighthouse and was last tarmacked in 1950. This makes for a slow, bumpy and challenging drive. When a tourist asked if Stuart could look out for wildlife and point it out he replied, "there's only one thing am looking at. You'll be happy to know it's the road." He did, of course, show us plenty, including Meadow pipits that flitted just ahead and wild primrose growing by the side of the road. The few houses that are on Cape Wrath are now all holiday homes and to this day there is still no electricity, running water or sewerage provision. Once around 30 people lived here and there was even a school, known as 'The Cape Wrath Academy.' A postman once made bicycle deliveries three times a week. Now there is only one man who lives in the lighthouse. He bought it as his home after the light was automated in 1998 and the keepers departed. "We're up into third gear now, " Stuart announced joyfully, "We're on the motorway section!" We passed a Ministry of Defence guard house, painted like a chessboard. This is staffed when live firing exercises take place. We saw ruined armored vehicles that are used for target practice. Stuart told us that the Cape saw a lot of military exercises during the Falklands War because of the similarity of the terrain. "The two main dangers on Cape Wrath are of unexploded bombs and adders. Once we had a passenger who brought an unexploded shell onto the bus!" "We also get collectors of ceramic telegraph pole insulators on Cape Wrath. That's why some are missing." I was intrigued to learn that the 1930s insulators on Cape Wrath are rare and highly sought after. The bus dropped us at the Cape Wrath Lighthouse where we had a sandwich at the Ozone Cafe. It is a one-man operation, so we had a little wait for our food, but this simply added to the unique experience of this place. I then took off on my own. I think to truly appreciate Cape Wrath you have to be alone. I walked uphill to where I had an incredible vista of cliffs and the pristine sands of Kearvaig Bay, a beach which you are very likely to have all to yourself for days on end. It was utterly perfect and I was overwhelmed by what was before my eyes. I had a deep sense of being privileged to be here and pride that I live in the country that has this place. I wanted to to keep walking and walking so that I could look at this for as long as possible. This is the only time I have been to a place where I had to seriously force myself to leave. Cape Wrath has that effect on you. 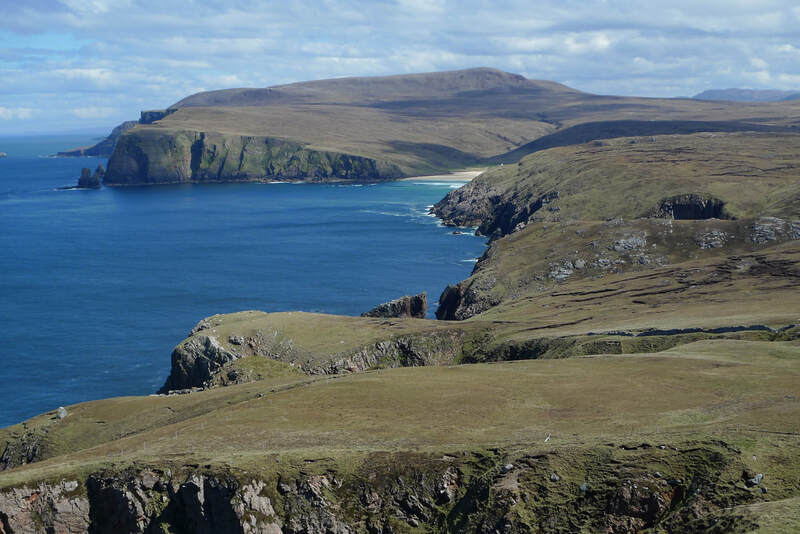 Visiting Cape Wrath requires planning because of its remoteness and transportation logistics. 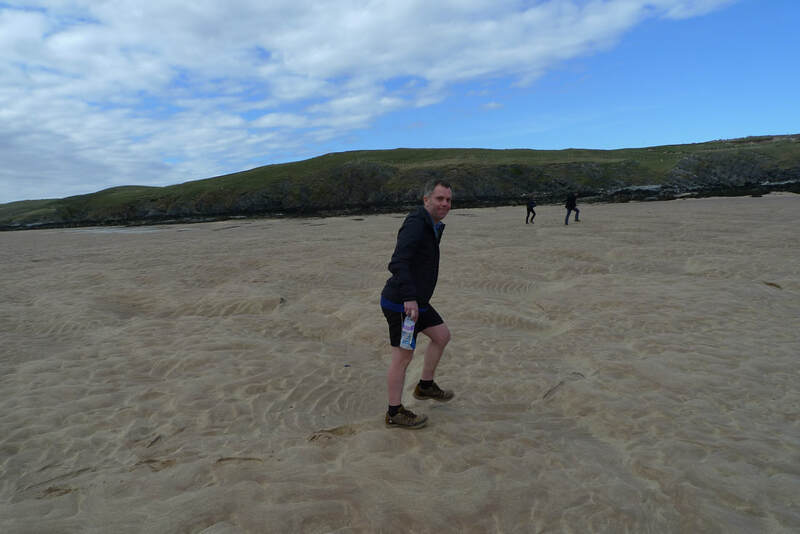 The best option is to base yourself in Durness for at least one night, so that you can get the morning ferry across to Cape Wrath. You might want to factor in more than one night in Durness, in case the ferry is cancelled through poor weather. The ferry pier is located about 2.5 miles from Durness. 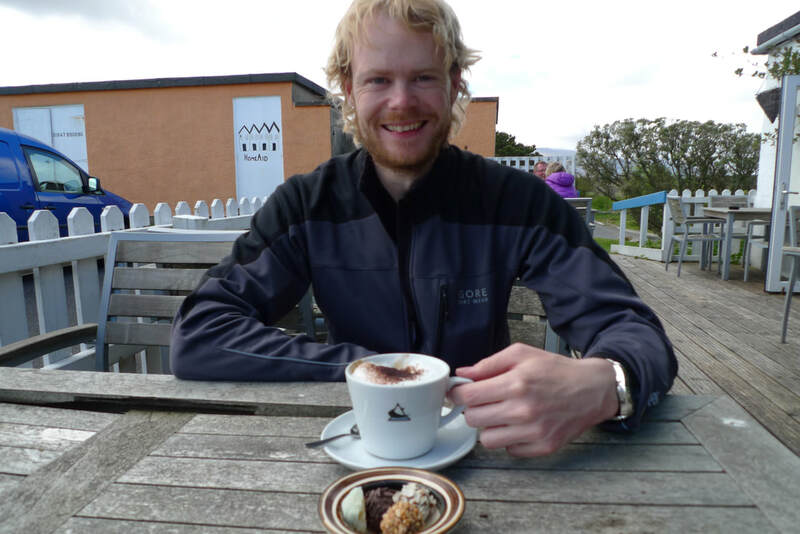 Reaching Durness requires cycling a good distance as the nearest train station (Lairg) is about 60 miles away, so it is difficult to do this trip in less than 2 or 3 days. I cycled from Kildonan station and you can read about this in part one of this travel feature. Another option is the bus service with the bicycle trailer that departs from Inverness daily in the summer months. We only cycled the 2.5 miles from Durness to the pier for the Cape Wrath ferry. 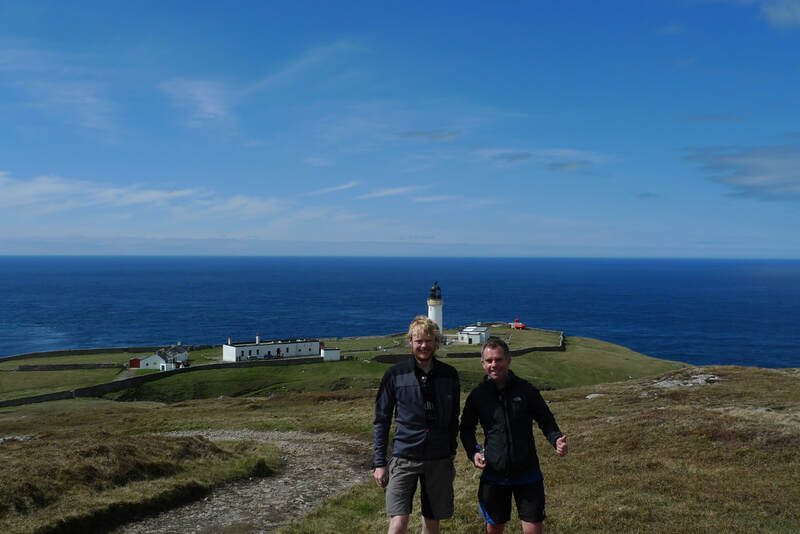 If you do cycle on Cape Wrath it is 11 miles to the lighthouse and the road is in a rough state and more suited to mountain bikes. 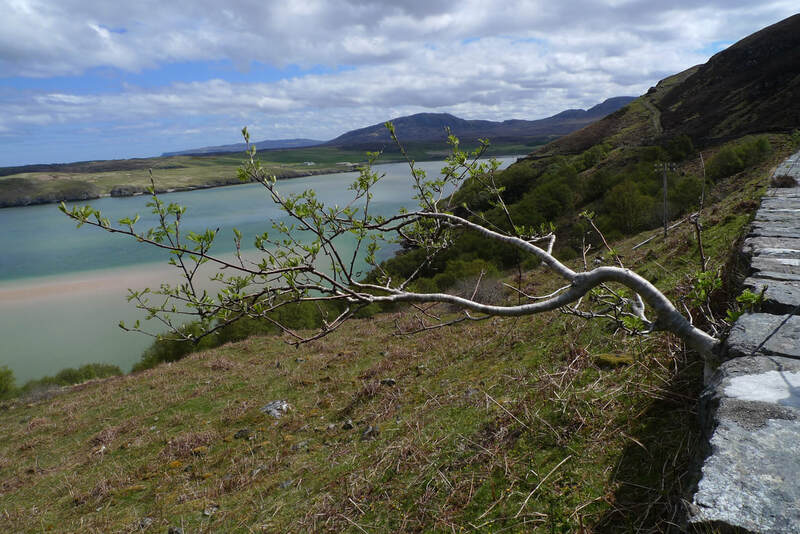 Cape Wrath is all about scenery and nature. You might just spot some red deer or a golden eagle. There is plenty to see and do in Durness, including Smoo Cave, the John Lennon Memorial Garden and Balnakeil Craft Village where Cocoa Mountain is located. There is nowhere to stay on Cape Wrath. 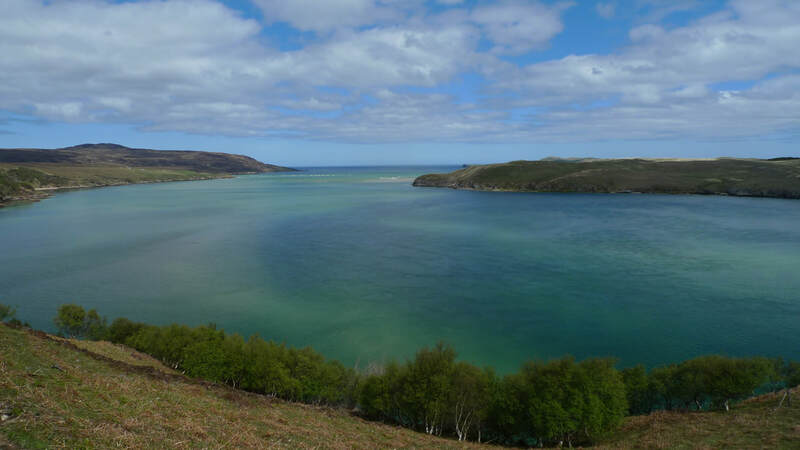 You could camp or stay in the bothy at Kearvaig Bay. The Ozone Cafe at the Cape Wrath Lighthouse has a good selection of sandwiches, snacks and drinks. 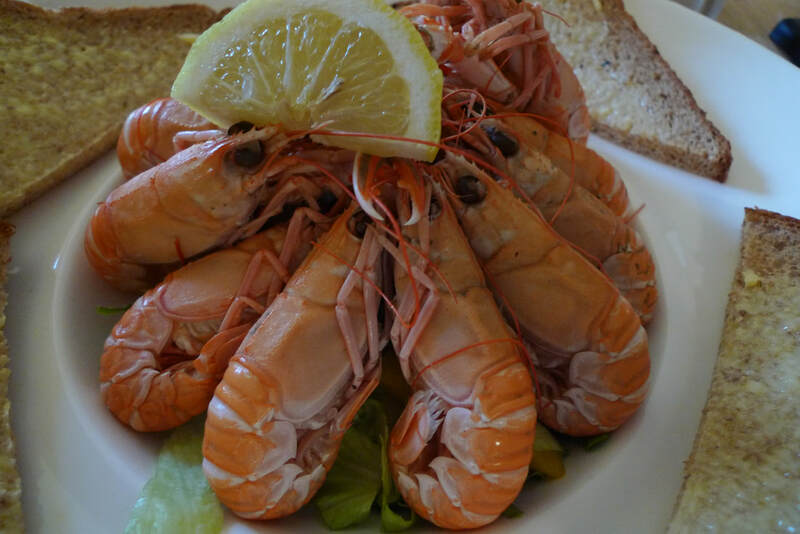 Comfortable and tastefully decorated rooms plus magnificent seafood in the dining room makes The Smoo Cave Hotel in Durness a good option. Do not miss the superb hot chocolate and delicious chocolate truffles at Cocoa Mountain.